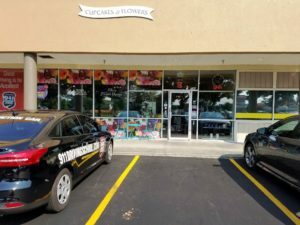 Opening up not one, not two, but three retail cupcake stores in less than two years was not a simple task. There were unforeseen challenges and inefficiencies to overcome, systems to streamline, employees to train, and customers to win over. When Rachel Young opened her first Miss Moffett’s Mystical Cupcakes location in downtown Olympia near the Olympia Farmers Market in January 2014, she was ambitious, passionate, bright-eyed and bushy-tailed. Nine months later, she opened her second location inside the Capital Mall, across from the food court. Then in August 2015, Young opened her third shop in the Fred Meyer Complex in Lacey, sharing a storefront with Elle’s Floral Design. Is rapid growth a good thing or a bad thing? There were many months along the way that Miss Moffett’s Mystical Cupcakes was in the red, and Young had to choose between paying for the eggs and butter, or paying the electric bill, only to have the oven or industrial mixer break down the next day. In December 2016, Young’s strategic partner in Lacey, Michelle LaPraim, owner of Elle’s Floral Design, approached her with an idea that would help both of their businesses. LaPraim wanted to fully take over the Lacey shop. She would cover the rent, staffing, and overhead costs, while also purchasing Young’s cupcakes at wholesale pricing. This allowed Michelle to keep the retail profit on the cupcakes. After they both met with their CPA and ran numbers, they decided to move forward with LaPraim’s plan. 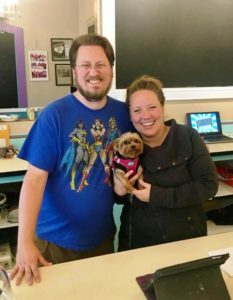 In the summer of 2017, Elle’s Floral Design was approached to buy Floral Ingenuity, a long-standing, well-known business in the community, and moved to their East Olympia storefront near Puget Sound Energy on Pacific Avenue. 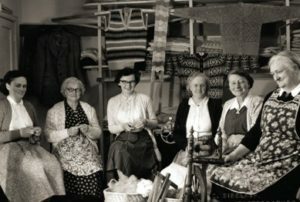 Young approached Gibson, and after weeks of consideration, he did indeed take over the location, now called The Sweetest Things. According to their Facebook page, The Sweetest Things is a locally-focused gift boutique predominantly featuring products made by female small business owners. 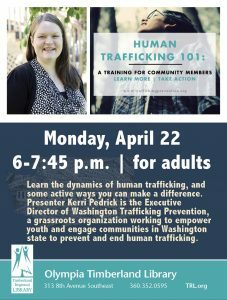 Their mission is to provide a place that supports and empowers women in business and in the community. 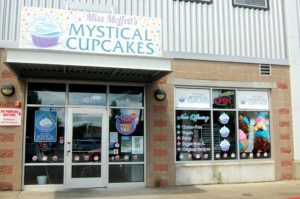 Miss Moffett’s Mystical Cupcakes fit perfectly in The Sweetest Things, along with other locally-made gluten-free goods, crafts, gifts, cards and apparel. 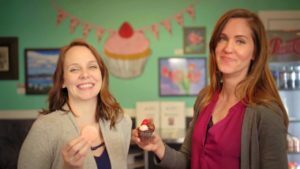 Wanting to continue simplifying her business by empowering other business owners, Young offered her French macaron provider, Melinda Gagnon, owner of Macarons by Mel, the opportunity to take over the Downtown Olympia (Farmer’s Market) location. Gagnon would continue selling Miss Moffett’s Mystical Cupcakes, of course. 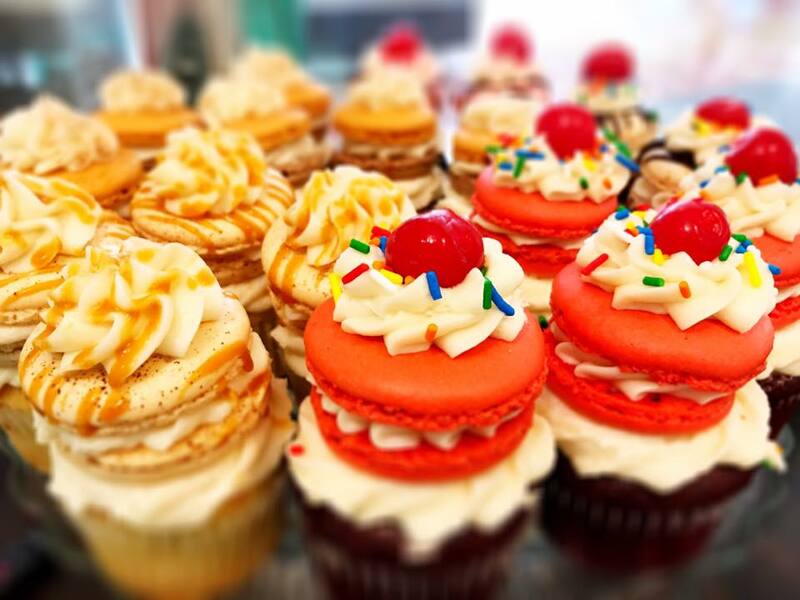 This fall, Macarons by Mel did indeed take over the downtown storefront, and she is continuing to sell Young’s cupcakes, which she purchases at wholesale prices. Her French macarons are a popular faire at the store, which are also available at Young’s Capital Mall location, as well as The Sweetest Things. The takeaway for Young, and what she reminds herself continuously when she gets overwhelmed, is that she doesn’t have to take on the whole world by herself. There are always other people who can help in ways that benefit everybody. The business community in Thurston County is a thriving, embracing world, where many opportunities exist. 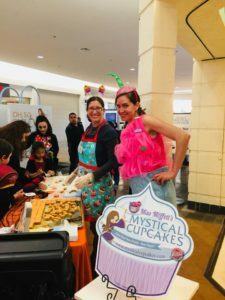 With food sensitivities on the rise, and Miss Moffett’s Mystical Cupcakes becoming a 100 percent gluten-free and peanut-free bakery in spring 2017, there are now more opportunities than ever before to expand into grocery stores and local markets. Young is heading into the holiday season much less stressed than in previous years, with only one retail storefront to manage instead of three. Yet she loves promoting and marketing for all three, while helping the other business owners be successful too. The ideas, excitement and inspiration sometimes keep her up at night. 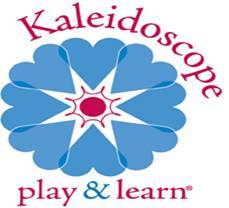 Young is actively seeking new strategic partners and investors in Miss Moffett’s Mystical Cupcakes expansion. She can be contacted at rachel@mysticalcupcakes.com.